In the United States and England, 14th century – present, a unit of capacity used for fuel wood, a pile 4 feet deep, 8 feet long, and 4 feet high, = 128 cubic feet, approximately 3.62 cubic meters. The name is believed to come from the practice of measuring the quantity of wood in a pile by measuring its circumference with a cord. Compare the German Faden. In England there were many local variations in the size of this unit, both larger (Derbyshire, 1800: 162½ cubic feet) and smaller (Gloustershire, 1800: 8 feet 4 inches long, 4 feet 4 inches high, and 2 feet 2 inches deep = 78 cubic feet). Hayes (1740, page 207) describes two cords, the usual one, and one called the “14 Foot Cord, ...14 Feet in length, 3 Feet in breadth, and 3 Feet in the height,” which is 126 cubic feet. The Second Report locates this unit in Sussex. Perhaps the slightly small contents compensated the seller for the additional labor needed to saw 3-foot lengths instead of 4. Simmonds states that a cord contains 1000 billets or four loads. Most modern fireplaces cannot accept logs 4 feet long; individual bolts are typically 15 or 16 inches long. In the United States, a face cord is also 8 feet long and 4 feet high, but only one bolt's length deep, making it one-third of a cord. One-third of a cord is also sometimes called a fireplace cord, stove cord, rick, or rank. A full cord made of 16-inch bolts is 4 feet high and 24 feet long. See firewood. A rick is sometimes considered to consist of 12-inch long pieces, making it a fourth of a cord. A long cord is also 8 feet long and 4 feet high, but the pieces of wood are longer than 4 feet, usually 5 feet or 5 feet 3 inches. A cord-foot = 16 cubic feet = ⅛ cord. Bertram Husch, Thomas W. Beers and John A Kershaw, Jr.
John Wiley and Sons, Inc. 2002. Of Wood Fuel, English Measure. — Wood fuel is assized into shids, billets, faggots, fall wood, and cord wood. A shid is to be 4 feet long, and according as they are marked and notched, their proportions must be in the girth; viz. if they have but 1 notch, they must be 16 inches in the girth; if 2 notches, 23 inches; if 3 notches, 28 inches; if 4 notches, 33 inches; and if 5 notches, 38 inches about. Billets are to be 3 feet long, of which there should be 3 sorts; viz. a single cask, and a cask of 2; the 1st is 7 inches, the 2nd 10 inches, and the third 14 inches, about: they are sold by the 100 of 5 score. Faggots are to be 3 feet long, and at the band 24 inches about, besides the knot of such faggots; 50 go to the load. 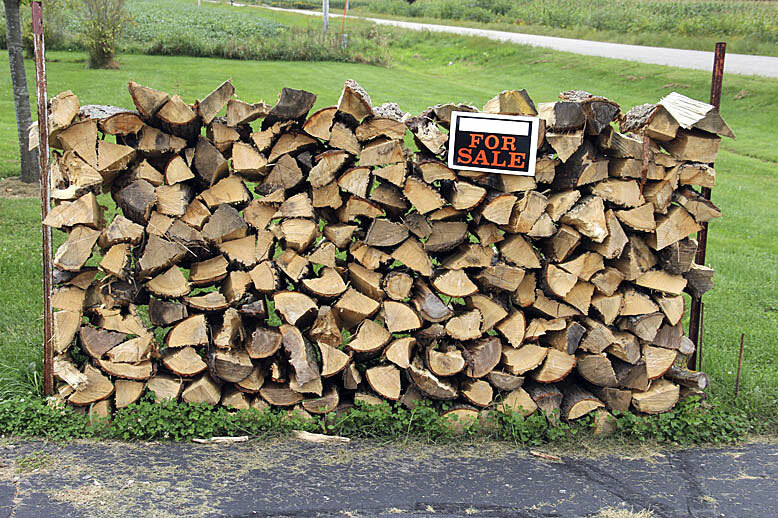 Bavins and spray wood are sold by the 100, which are accounted a load. Cord wood is the bigger sort of fire wood, and it is measured by a cord, or line, whereof there are 2 measures; that of 14 feet in length, 3 feet in breadth, and 3 feet in height. The other is 8 feet in length, 4 feet in height, and 4 feet in breadth. A Dictionary, Practical, Theoretical, and Historical of Commerce and Commercial Navigation. Page 725 (misprinted as 72). This dictionary began as an English publication; the definitions may have applied there and not in the United States. In Derbyshire, England, 18th century, a unit used in describing the size of deposits of lead ore. Also called a meer. For rake veins, a length of 29 yards. For pipe or flat veins, 14 square yards. Second Report (1820), page 14. In the United States, 19th – early 20th centuries, a unit used with stone, sometimes a unit of volume, sometimes a unit of work done in terms of the area of the face of a wall, and sometimes a unit of weight. See the source quote. The Lack of Uniformity in Measuring Stone. …The cord in some states is measured in feet—for instance, 128 cubic feet in the quarry or 100 feet in the wall; in others it denotes weight and is variously defined as equivalent to 11,000, 12,000, 12,500, and 13,000 pounds. Quoted from Journal of the American Institute of Architects, vol. 5, no. 2, page 85 (February 1917), but it is reprinting the section “Stone in 1915” from Mineral Resources of the United States. For this selection without ellipses, see perch. Last revised: 11 October 2011.